With all the conversion to digital, Taxi and Auto Meters are also now electronic. But this does not prevent our innovative Mumbai Taxi and Auto Drivers from manipulating their meters. 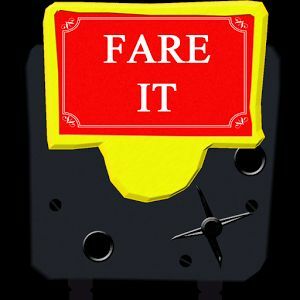 Fare IT is a unique app developed by a couple of IIT techies. Start the app and click on Start Journey when you commence and click on End Journey when you reach your destination. The distance and waiting charges are all computed and you will get your correct fare. Most of the time the fare is accurate unless you have GPS interruptions. The fares are computed for Autos, Taxis and Cool Cabs. There is also an option to find the shortest route. If you feel cheated, the nearest RTO telephone nos. are also available in the app. Just call the RTO helpline and log your complaint on the spot ! The app consumes minimal battery and can run in the background for the duration of the trip, so you can make and receive calls and messages while the “meter” is on ! Bad news for dishonest drivers and music to the ears for the honest customer !